Maybe this could be tried on the “Fake Facebook” assignment for introducing historical characters. 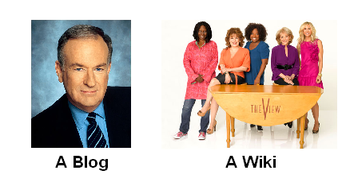 It’s now real simple to add a Google Map to your blog! 1. Make sure the Google Maps plugin is activated in the Plugins menu. 2. Look for the Add Map icon that now shows in your page and post editor. 3. Complete the information by putting in an address or place name of what you want to show. 4. Click on “Insert this map” and a code will be placed in your text which will automatically show the map when you publish. 5. For “Street View” simply drag the yellow “peg man” from the top left corner into the map where you want him to be. Move him around and choose the view you want to display. Visitors to your blog will be able to move him around, but when they refresh the page or visit again, he will always be reset to the starting place you choose. 5. To make changes, simply click on the map icon again. 1. 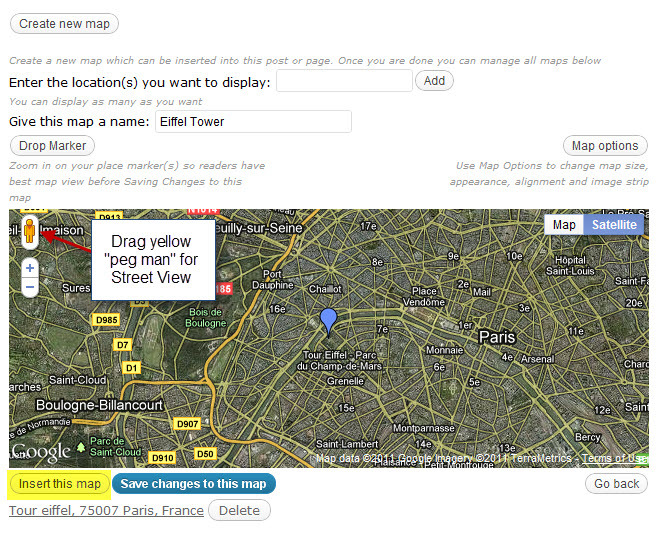 You will also find a Google Maps widget under Appearance > Widgets which lets you place a map in a sidebar. 2. By going to Settings > Google Maps you will be able to set the default size and views of all maps you create. The 100 Edublog themes separated into categories to make choosing your next theme easier–good resource for “quick picking”. If you want your blog or webpage to be read by non-English speaking students, with the simple addition of a Google Translation Gadget, viewers can translate your page(s) to over 50 languages or just a select number of languages. Follow the on-screen prompts to make decisions about how you want the gadget to look and function. Copy the provided embed code. 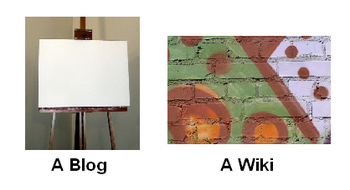 Paste the code into the appropriate area of your blog, wiki, or webpage. I came across this video on YouTube for starting up a blog with Blogger. I copied the embedded code without the related videos, picked a size that would fit on my blog template and pasted html code to my Edublog post. Once you have a video that you would like to use on your blog, make sure it is the right size for your website. Select a video size that you think is close to the parameters of your blog’s main column. 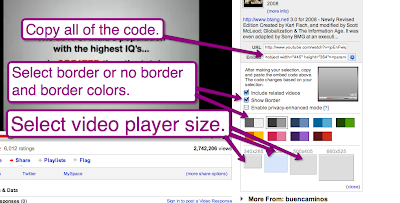 In this step you can also select a border and whether or not related videos should be shown after your video plays. 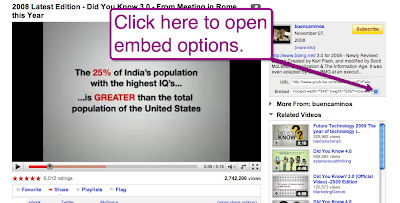 Copy the code provided in the “embed” box. Paste the video embed code into your blog’s post editor. (Depending on your blogging platform, you may have to do this in the “edit html” mode rather than “compose” mode). Now locate the “object width” and “object height” with the code you’ve copied. Following “object width” you should see a three digit number. That number is an indication of the number of pixels wide your video will be. Reduce the number to make the video player narrower. Now locate “object height” and reduce the number following it by an amount equal to the amount you reduced the width. You’re almost done. “Width” and “height” dimensions will appear again at the end of the code you’ve copied. Alter those dimensions to match the dimensions at the beginning of the code. 1. Make sure the first question is “student name”. 2. You can mix question types (multiple choice, short answer, paragraph) but if you have too many types and too many students, the spreadsheet can become difficult to navigate. 3. When embedding the form into a blog, make sure you edit the width to fit within your blog’s main column. Instructional slide show prepared by Richard Byrne–“Technology for Teachers” blogger: Create a Quiz Using Google Forms .